My son has had a tortured season of baseball. He loves the game. Loves it. But he wasn’t playing the game as well as he wanted to play it. He’d approach home plate, bat in hand, and hear all of the voices–real and remembered–around him. Stand like this. Hold the bat like that. No, like that. Move back from the plate. Strike! The rules and the voices had become like an anesthetic to his innate understanding of the game, his love of it and, yes, his talent. I told him weeks ago that he needed to forget all of that–bag the rules–and just try to hit the ball, trust himself. He balked at that; he had to follow the rules or he’d be in trouble, and he wouldn’t hit the ball if he didn’t–duh, Mom. It wasn’t my peptalk, or my husband’s, that finally got through to him. It was something he did all on his own: walked up to the plate, just stood–stood where it felt right–blocked out the voices, went for it–high ball or not–and…whack! A solid hit out into left field. Later, one into centerfield, and then a hit that landed him a triple and brought home two runs. Several games after this milestone, he’s one of the team’s best and most reliable hitters. Most of us who are aspiring authors have plenty of voices around us: critique partners and other friends, spouses and other family, and sometimes even agents or editors. These voices can escalate when we’re close to something good, because these are people who want us to do well, offering their very best advice to help us round the bases of publishing. 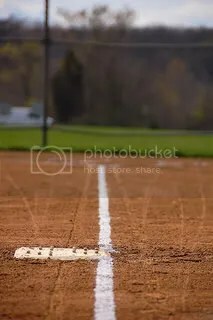 But there comes a time when you have to recognize that it’s you and the bat, standing quite alone at home plate, facing the pitch. As much as we might cling to opinions, remember them all–this is what the character should be doing here, this is how this thread could play out, this is how this scene could be rewritten, this is what should be cut away, no, no, keep that, submit it as it is, aren’t you published yet?–these voices can, if you’re focused on them when it comes time to make your swing, anesthetize your instincts. Stop listening for them. Stop listening to them. Just face the ball and trust that you know what to do. Trust your love of your work. Trust your knowledge of the craft. Trust your grip and your stance. Trust that you will know best how to make the connection. And then–whack! For the unpublished, homestretch writing takes guts, but it’s important if you’re ever to reach a new level. It’s the moment you remember how lonely writing can be, but it can come just before a big cheer from the sidelines. Next article: What exactly is a Street Team? if playing baseball and hitting home runs were easy, everybody would be a star. and with writing and getting published, if it were easy, everyone would have a book out there. ultimately, it’s just you, the bat and the ball – or you, the pen and the paper….but, darn it, we still have to deal with the pitchers, catchers, short stops…and agents, editors, critique partners – and, ultimately, our readers. Both ‘sports’ have strategies, but remember, baseball is a win/lose game; in publishing the ultimate goal is win/win. Babe Ruth struck out a lot, but when he found that pocket, he couldn’t be beat. So watch your signals, filter your listening, and watch out for knuckleballs. And never, never, never give up. Go Liam! He’s learned a valuable lesson at such an early age. It’s hard to tune it out. But necessary. Thanks for the reminder, Therese! Hey batta batta . . . .
As a confirmed hater of “rules” and “you must/you can’t” restrictions, I say “bravo,” both to you in your advice to writers and to your son in his approach to the game. There are certain basics, but beyond that, be yourself. I like that one, Thea! Edie, oh, the rules. Like Richard I kinda hate them. Know ’em well, then let ’em go, right? Therese, you nailed it. The only voices I listen to these days are those of my characters and my editor. I’d go mad otherwise. What an awsome post, Teri. Glad you could find a connection and able to share the connection and bring it on home! You really nailed this one.